Chris Helwig's background of 30 years of racing and 22 years of coaching experience demonstrates his passion for the sport of cycling. Chris has had extensive involvement in road racing, which includes 3 years of racing as a Senior 1. 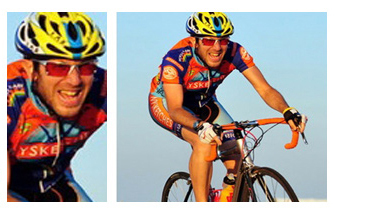 In 2009, Chris expanded his own competitive focus to include duathlons and running, but still maintains his dedication to road cycling by racing in club level events. 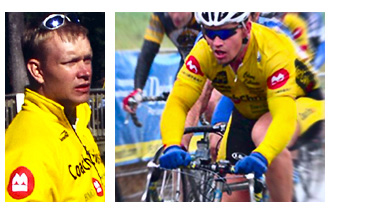 In addition, Chris leads weekly training rides, and organizes winter training camps. A comprehensive list of Chris's qualifications, coaching history and racing experience is below. I enjoy helping people with the struggles of juggling work and family while simultaneously training to ride and race effectively. I focus on using power and heart rate to maximize one's time training. I encourage my clients to follow the mantra "quality over quantity.' Feel free to contact me for all your cycling needs. Racing experience includes some of the biggest events in the Northeast, With top 10's at The Killington Stage Race, Tour De Toona, and the Fitchburg Stage race among others.